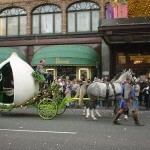 This is the shrek carriage we built for the launch of the DVD, marked by a parade past Harrods. 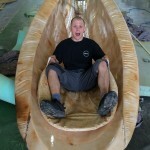 it had working breaks and was suprisingly comfortable for a turnip. 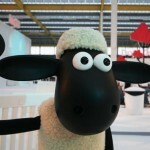 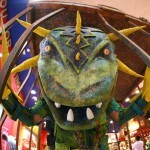 Helix created a cage, and costume, for a Catcha Beast tour and installation in Hamley’s for Cow PR.